We’re the best place for all your SEO needs. With years of experience in all areas of Search Engine Optimization, you can’t go better than our team when you want to improve any or all areas of your digital strategy. Our innovative SEO strategies will get you ranking on page 1 of Google in no time. Make sure customers can find you both online and off. Use our superior Google Maps Optimization services to increase foot traffic as well as click-through traffic. Turn visitors into customers with a complete CRO makeover for your website. Never lose another customer to a website poorly designed for mobile devices. Use Platinum’s Responsive Web Design services to become easily accessible by customers at any time. Reach more customers than ever with our Google AdWords strategies. Make your company known with PPC ads and sponsored searches. Create a great app and engage your customers. We create innovative mobile apps that will make customers continue coming back for more. Platinum SEO Melbourne: A Vibrant Internet Marketing Company Specialising in SEO and Web Design. Whether you want to simply rank higher or search engines, improve your traffic, or reduce visitor bounce rate and improve CRO, we can help. Our team believes the best approach to SEO is a holistic one. We listen to what our customers want, and then create a winning strategy tailored to their needs. 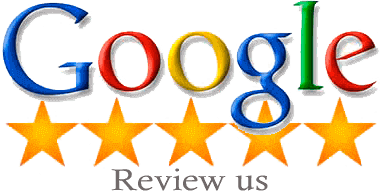 Our results speak for themselves, and we have gotten hundreds of clients ranking on Page 1 of Google for their chosen keywords. 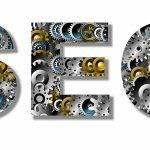 Don’t know the first thing about SEO Melbourne and unsure what it can do for you? We can help. We have helped many start-up companies create and execute winning, wall-to-wall Melbourne SEO strategies to give their businesses the best start they could want. Already established an online presence, but want to re-tune your SEO strategy, or try something different? We can help. We work with those companies with an established online presence all the time, and what we’ve found is that there hasn’t been a business yet that hasn’t benefited from our services in some way. We can re-optimise your website for SEO, or focus more on reducing visitor bounce rates by improving your CRO. Perhaps you want to make your website easier for customers to access on mobile devices? Our mobile app development and responsive web design services are just what you need to ensure customers can access you or your services at any time. your business for complete success. We were a small start-up company with a fairly small budget to spend on SEO. Platinum SEO had SEO packages made for us and our budget. I think they have something to help everyone. I would use again in a flash. Ghan and the team are great to work with. They sit down with you and outline exactly how they’re going to create higher listings for you. Then they are sure to keep updating you with reports of what they’re doing and how they’re going. I like the great communication style they have. Working with the team at Platinum SEO was the best move we could have made for our business. In a short time we’ve gone from ranking pages back from the top of Google, to page 1!